Two children, treasure map in hand, and their pet gazelle sneak past their father, out of their house, and into a world beneath the city, where monsters and pirates roam. Will they find the treasure? Will they make it out alive? The Dangerous Alphabet is a tale of adventure, piracy, danger, and heroism told in twenty-six alphabetical lines—although even the alphabet is not to be relied upon here. 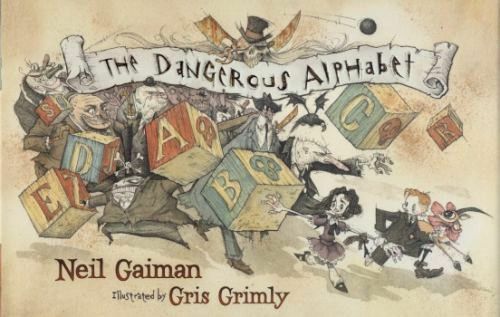 A delightfully dangerous journey from national bestselling author Neil Gaiman and the monstrously talented Gris Grimly, The Dangerous Alphabet is sure to captivate and chill young readers. Diesen Artikel haben wir am 30.12.2011 in unseren Katalog aufgenommen.